The world of robotics is extremely exciting. Everyday we come closer to building R2-D2, Terminators, and the Iron Giant. The days of having a Betamax, our “personal healthcare assistant” are even closer still, thanks to robotics in healthcare. 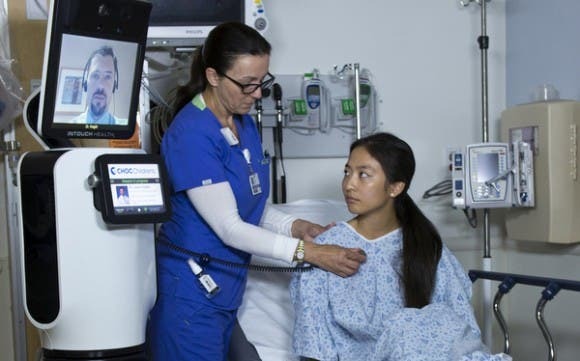 In the world of healthcare, robots are being used in three main situations: communicating and monitoring patients, delivery of medical supplies, and assisting doctors and nurses in unique capacities. RP-VITA stands for Remote Presence Virtual Independent Telemedicine Assistant. The system has an iPad interface that allows the doctor to communicate with staff and patients. Doctors are busy people, and with the increasing demands for quality health care, it’s becoming impossible for everybody’s needs to be met. Especially with patients that are unable to physically come to a clinic or hospital, the need for remote health care is rising. Many robots have been developed, like the Giraff and the Anybots, that can be controlled by doctors and nurses remotely. The robot allows them to interact with their patients, check on their living conditions, and determine the need for future appointments. Similar robots are also used in hospitals for patients with unique conditions requiring a specialist. The RP-VITA (Presence Virtual + Independent Telemedicine Assistant) can be used to monitor vital signs and symptoms, then relay them to a doctor on the other end. This way, a specialist can help diagnose and treat patients in remote areas without having to physically travel to them. 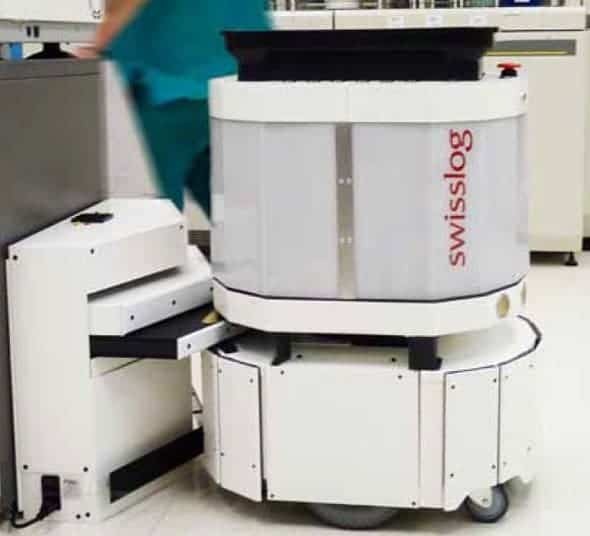 Far too much time and money is spent on nurses delivering medical supplies, a job that can be done by robots like the Aethon TUG and the Swisslog Robocourier. Using different techniques like electronic maps, sensors, magnets and painted lines, robots are able to autonomously transport different supplies in hospitals, giving nurses more time to spend with patients. These robots are even able to plot out the most effective routes, avoid heavy foot traffic areas, and move quickly without causing accidents. Robots are also being used in the direct treatment of patients. The Da Vinci Surgical System is controlled by a surgeon for non-invasive, but highly complicated surgeries. There are microbots that help scrape plaque off arteries, destroy cancer cells and inspect a person’s internal organs without invasive surgery. These tools enable doctors a level of precision that would be impossible otherwise. Hospitals and doctors aren’t the only ones in healthcare using robots. Robots like the Bestic arm and the RoBear are changing how nurses are caring for the elderly and disabled in hospitals, assisted living homes, and even in their own homes. Other robots are used in therapy for patients of abuse, like this cute robot otter. Many who see the use of robots fear that this means people will begin to be replaced by robots and lose their jobs. While yes, more simply jobs like cleaning and deliveries will be replaced, there will always be a human element to medicine. Babies require human interaction to grow healthily, Doctors will always need to diagnose, people will always need comfort for bad news, and unique situations will require unique responses only humans can provide. Robotics will simply continue to give us better and more efficient tools to treat patients and combat disease.